Adam Vinatieri was sporting a pretty thick, snow-white beard on Sunday night as the Indianapolis Colts and Tennessee Titans battled to get into the playoffs. The 46-year-old future Hall of Fame kicker showed age is nothing but a number in the second quarter, drilling a 53-yard field goal. Vinny's kick is GOOD from 53-yards! 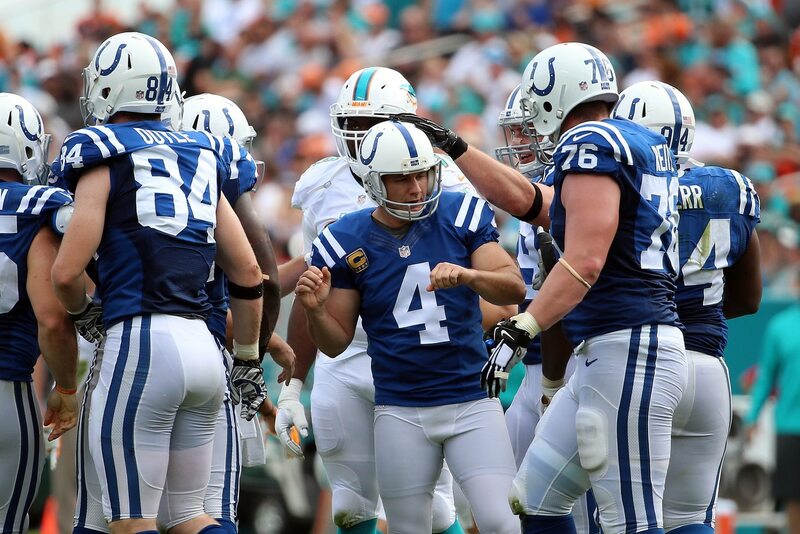 By the way, the picture shown in the Colts’ tweet is what we’re all used to seeing from Vinatieri. As more people started to become aware of his Santa Claus beard, the buzz surrounding his magnificent facial hair took off. Adam Vinatieri looks like Father Time w/ the grey beard. When did Adam Vinatieri grow a Santa Claus beard? I mean, I know he’s 100 years old and all … but where have I been? Vinatieri has said he wants to keep playing beyond this season, and for what it’s worth nobody I know would be upset if he played well into his 50s. Keep trucking, old man.